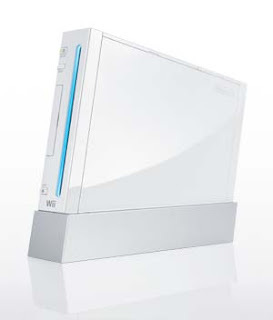 So Jobu got a PS3, and the mg household was brought a Wii by Santa Clause. All I can do is confirm everything you've probably already read. It's fun, physical (for a video game), great for families, usable by little children, and basically different from every other video game system you've ever experienced. The system came with Wii Sports, which most but not all packages include. Santa also brought Wii Play, which had 8 other fun games and also comes with an extra remote, which helps when you have more than one child. Santa also brought a Barbie Island Princess game for our 2 girls, and we're all loving it. Even the 3-year old can participate. We recommend it highly, if you can get your hands on one.